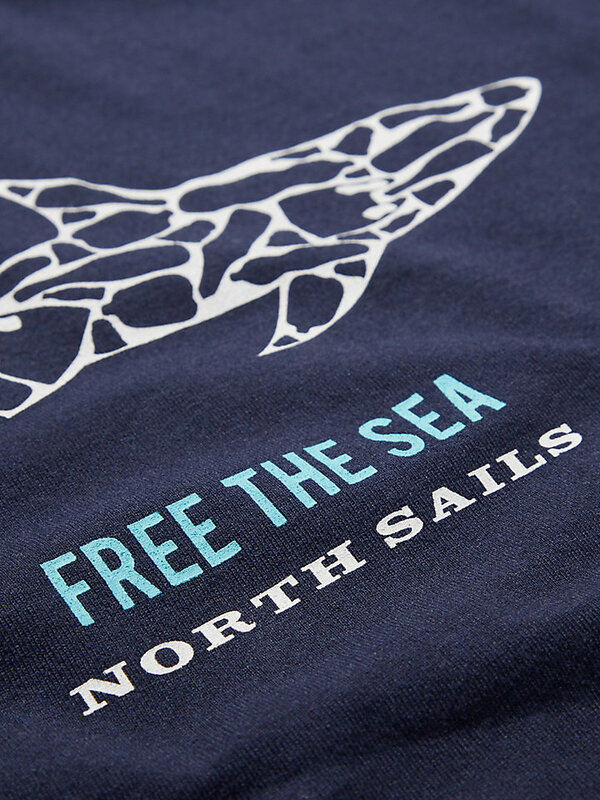 Easy to wear jersey of up- and recycled fabrics. 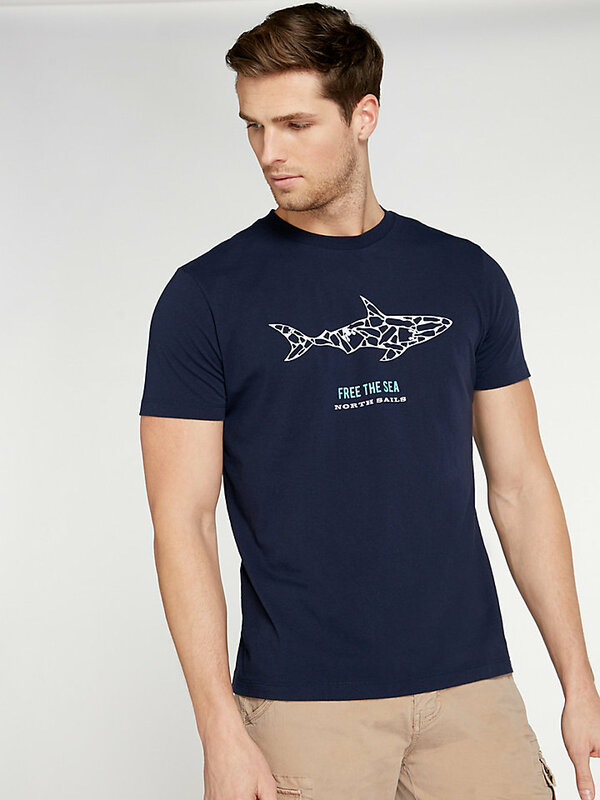 A very durable t-shirt that is resistant to wear and tear. 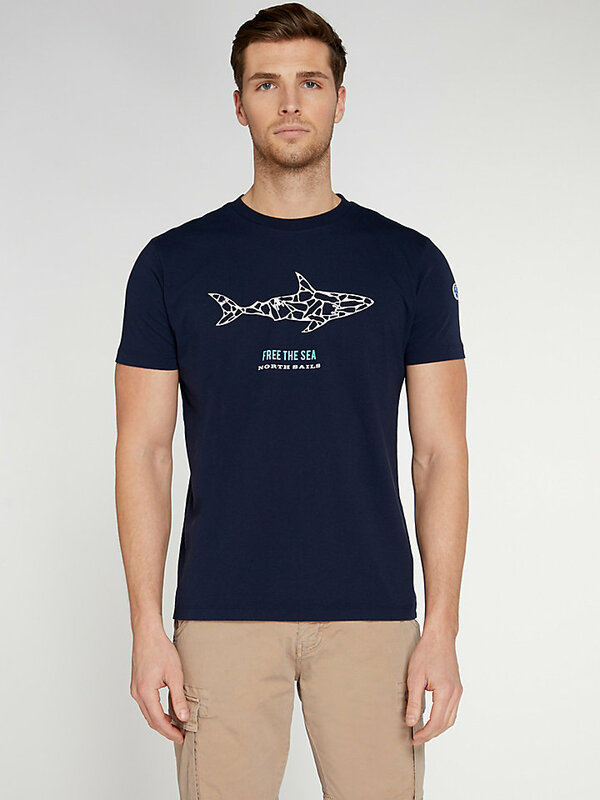 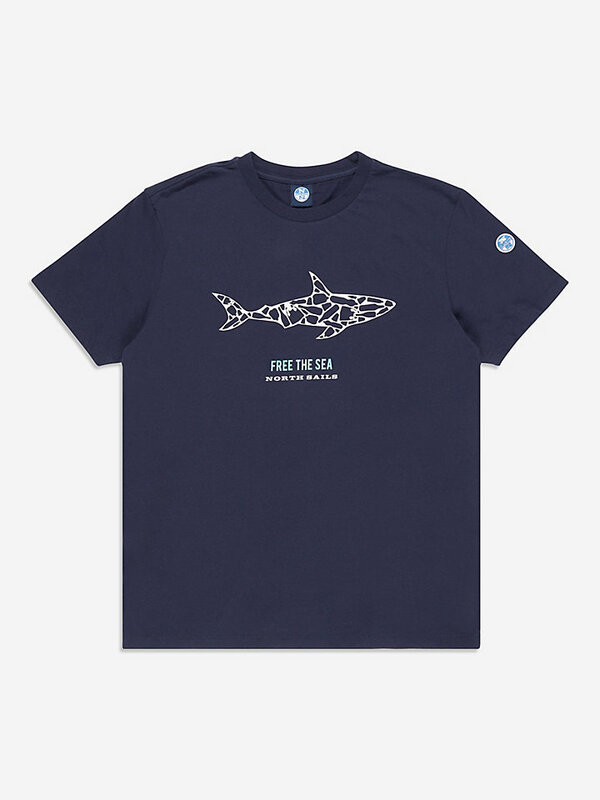 Easy to wear, but very sharp looking: this jersey, made of a high performance blend of upcycled cotton and recycled polyester, comes with a cool shark water print at the center front. 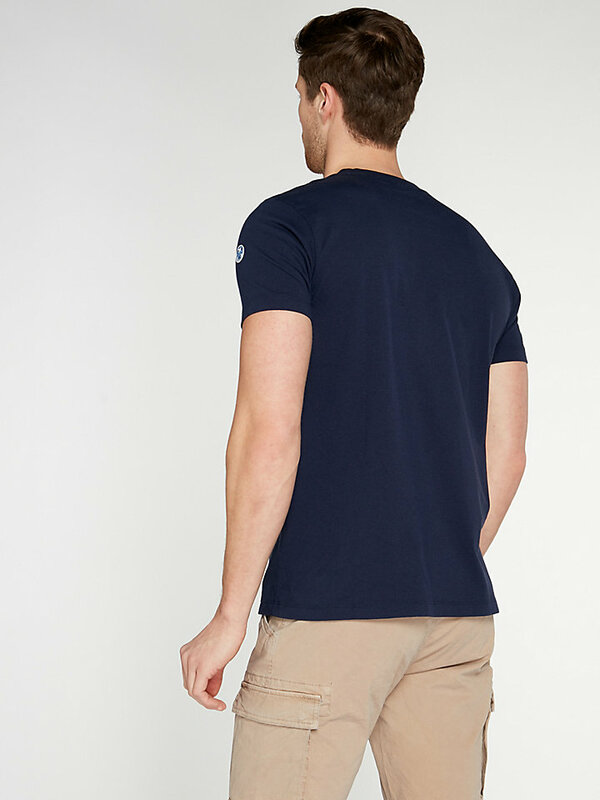 This piece of activewear is treated with a silicon wash, meaning it guarantees durable softness and resistance to wear and tear.